languagehat.com : SWEDISH IS A FAKE. “And do you, signora, believe,” I answered heatedly, “that there is such a thing as the Swedish language? The Swedes are exceedingly proud, and they’re afraid that Europeans will call them Finns, so they employ every means to convince other peoples that they are of a completely different origin and even have their own special language. But I, having lived a long time in Petersburg, have satisfied myself that the so-called Swedish language is nothing but a hoax. When foreigners are around, Swedes deliberately pronounce random sounds in a sing-song fashion, accompanying them with gestures, to make people think that they are conversing among themselves in their native tongue, and that their language is sweet and melodious; but after babbling a while in that way, they are forced to leave you, go over by the window, and explain in Finnish whatever they wanted to tell each other. Giulietta is convinced that the Swedes are deceivers, and resolves never to believe a thing they say. — Но вы, по крайней мере, согласитесь, — примолвила она, — что шведский язык очень мил и приятен для слуха?.. — И вы, сударыня, верите, — отвечал я с жаром, — что на свете есть шведский язык?.. Шведы чрезвычайно самолюбивы, боятся, чтобы в Европе не называли их чухонцами, и всеми мерами стараются дать уразуметь другим народам, будто они совсем другого происхождения и даже имеют особый язык. Но я, долго живя в Петербурге, убедился, что так называемый шведский язык есть только мистификация. В присутствии иностранца шведы нарочно произносят нараспев разные произвольные звуки, сопровождая их жестами, чтоб заставить его подумать, что они разговаривают между собою на своем отечественном языке, и признать, что их язык очень сладок и благозвучен; но, полепетав таким образом несколько времени, они принуждены удалиться от вас к окошку и там объяснить по-чухонски, что такое хотели сказать друг другу. Update. See this post for Senkovsky’s real-life inspiration for the cave hieroglyphs. Would I be right in assuming that Shimshik in Russian is related to şimşek in Turkish – i.e. ball lightning? It’s not a Russian word or name (all the names in that section are exotic inventions), but Senkovsky was acquainted with a lot of languages, and it wouldn’t surprise me if he had the Turkish word in mind. In Kazakh shimshik is siskin or little bird. I’ve seen it. But it’s always worth linking again for those who’ve missed it. I bet he’s parodying the Finnish educated class of his day. The “Swedes” someone like Brambeus (or Senkovsky, or Senkovsky’s readers) would have been most familiar with were educated Finns, using Swedish for formal occasions and Finnish in private or informally. Norwegian is essentially Danish spoken with a Swedish accent. Danish has collapsed. Now Swedish is a fake. I’m speechless. Actually, I didn’t know that either. With some luck I’ll be relieved from surmisery. But I think it’s a good guess. Finland had recently been transferred from Swedish to Russian rule, and there would have been numerous civil servants on mission in the Russian capital. I was surprised to read the word чухонский there. I had never seen that for Finnish; to me that’s финский язык. Can anyone tell me the etymology? It’s an old-fashioned word now seen as pejorative; it’s derived from Чудь, the name of an ancient Finnic population in what’s now northwest Russia (of unclear origin). Cf. Чудское озеро, popularly called Чухонское озеро. My favorite speculation: ON þjóð “nation, people, community”, used by the varyags for the common population or borrowed as a concept from North Germanic. The čuđit (forgive me if I got the wrong case form) also spooked in Sami folklore as a dangerous people from the east (and thence as the bad guys of the 1987 thriller Ofelaš (Veiviseren, Pathfinder)). I imagine that to be a memory of raids by Karelian or Novgorodian tax collectors. Trond, your speculation looks plausible, but I wonder about the relationship between Чудь čud, and Чухон čuxon. It is possible that the second word is of native (non-IE) origin and the first one (Norse, pre-Russian) remained in Russian because of its resemblance with the first. In many traditional cultures, people simply call their own group ‘the people’, but others do not call them ‘the people’ in their own language. Is anything known about Чухон čuxon and its possible analysis? So that must be a word for “vaguely Finnic” (the romantically pre-Slavic Leningrad Oblast maybe) than “Ducal/national Finnish”. Wikipedia seems to anthropomorphically hold this opinion. I see you translated “сударыня” as the Italian “signora”, rather than “ma’am” or “my lady”. Probably a good choice to add some local flavor, and the English equivalents all seem awkward. But “signora” in Italian, rather than “signorina” (which strictly speaking would be барышня in the Russian of the era I suppose) strikes me as a little odd – how old is Giulietta supposed to be? She’s clearly not married. A 19th century Sicilian woman having a “boyfriend” strikes me as implausible Russian fantasy, unless she’s supposed to be a widow or a “courtesan”. Chap goes into a chemist’s shop in Sweden. I see you translated “сударыня” as the Italian “signora”, rather than “ma’am” or “my lady”. Probably a good choice to add some local flavor, and the English equivalents all seem awkward. That’s supposed to be (North) Sami, if that wasn’t clear. m-l: Is anything known about Чухон čuxon and its possible analysis? I didn’t even know such a word existed before this thread, but now I want to know too. It does look odd for a Russian derivation, doesn’t it? We were told that it mostly applied to Estonians. Nowadays the pejorative use towards Estonians is obsolete. Today, it is more commonly used by Ukrainian nationalists to taunt Russians, whenever they want to point out that the Russians aren’t of “pure Slavic stock” but descend from the Finnic tribes. Finnish Swedish is of course non-tonal, which is to say not particularly “sing-song”. I don’t know when the tones were lost, though. Good point. They were lost long ago, if they indeed ever were there. There’s also a point waiting to be made that there actually were many mainland Swedes in Petersburg, especially in the military. So I think I will moderate my claim to “many “Swedes” in Petersburg would actually have been educated Finns”. The suggestion doesn’t need a perfect match anyway, only a close enough hit for parody. The sing-song fashion is prominent enough to have been noticed by any Russian eavesdropping on a Swedish conversation if at least one speaker was from the mainland. And prominent “Swedes” speaking bloody Chukhonish in private would have happened often enough to be notable. Dearieme: Unpack, please. I don’t get it. In psychometric classification human personalities are categorized after socially important traits like co-operativity and humility. The lowest scorers are the so-called “R” souls. I made that up, by the way. I have no clue about the real science of psychometrics. Oh, now I get it! But why Swedish? Maybe you’ll want to reopen the thread or something to accomodate the influx of outraged Swedes. Hello in the summer heat! I just wanted to point you to an unusually entertaing entry at languagehat.com (). And now I remember that I owe somebody (Paul Ogden?) a translation of a post there. That first line was meant to be in quotes. It looks like “khno” is not a single suffix but two: khon (often reduced to khn depending on what comes after it) and -o which occurs in many non-feminine words. All Russians are very good at it, because they are taught in school to analyze word composition for ten years. SFReader: Thanks, interesting! But why suffiks but pristavka? Trond, I think that suffix is the only exception – all other morpheme names (inc. koren’ “root”) are in Russian; but nowadays you can some hear about interfixes and postfixes in Russian texts, too. 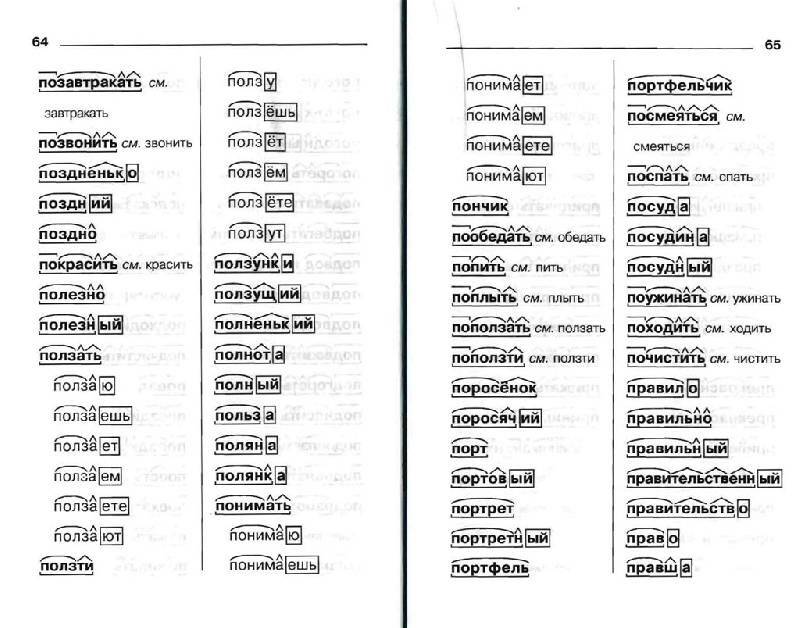 In Lomonosov’s 1755 “Grammar”, there are numerous comparisons with Classic and European languages, but the whole body of terminology consists of Russian terms. Yet these terms differ from the modern ones (e.g. 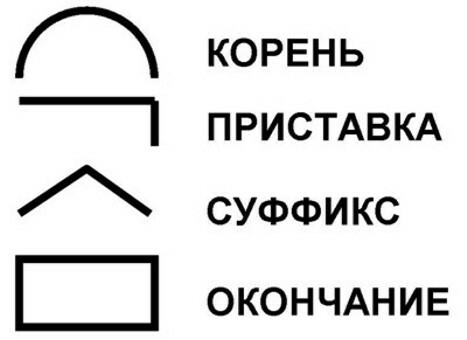 for syllables, Lomonosov uses складъ rather than слог). Приставка prefix is considered a “fused preposition” (слитные предлоги) as it is the case e.g. in Italian le preposizione articolate (Lomonosov’s paragraphs 131,132). In para. 41, he specifically explains how a preposition becomes fused: у дела -> удельный. Grech’s 1828 “Practical Grammar” already uses “slog” syllable, “koren'” root, but considers prefixes and sufixes “preceding and following auxilliary roots” (paragraphs 41, 42), and discusses “preceding auzilliary roots” in a chapter for prepositions. Grech uses the word “okonchanie” but doesn’t differentiate with suffix. So the current terms for morphemes must be more recent. First textbook separating Russian суффикс & окончание (suffix vs. ending) appears to be 1860 “Opyt Russkoj Grammatiki” by Konstanin Aksakov (Aksakoff), a leading Russian Slavophile, poet, and historical linguist. Konstantin Aksakov suffered from tuberculosis, and died early; the Grammar has been published by his brother. Isn’t it a sort of a paradox that the Latin term has been introduced into Russian linguistics by someone so beholden to the concept of Russian unique-ness? SFR, thank you, but you are the one who used the phrase “the suffix khno“. My point is not about terminology (the definition of suffix versus ending) but (according to your own examples) the interpretation of the sequence khno as two separate morphemes: the suffix -khon (with the variant -khn-) and the ending -o (which would presumably change to -a for the feminine, with both -o and -a undergoing further changes with number and case). The fact that -kh(o)n is also found in Chukhon, Chukhontsy and Chukhnya shows that this suffix does not include the final -o. The question of where exactly a suffix ends and ending begins has tortured generations of Russian schoolchildren. I am afraid I am as confused on this issue as they are. SFR: The question of where exactly a suffix ends and ending begins has tortured generations of Russian schoolchildren. Not only Russian children, but any speakers of a language where the interaction between roots, stems, suffixes, endings (or more generally the various components of a complex word) causes changes at each boundary between such elements, because of the sometimes conflicting ways in which the proximity between two sounds results in changes to one or both of them, often conflating the two into yet a third sound so that indeed you can’t tell where the boundary is. Shifts in stress patterns can also result from such interaction and further complicate the picture. Such changes are the object of the subfield of linguistics called morphophonemics, which also provides an understanding of the link between current forms and their historical ancestors. It is a fascinating subject (if you are so inclined), but not an easy one, especially for children. There are languages in which the boundaries between components are much easier to identify than in Russian (Turkish is a commonly used example). M-L, the question with -хн- / -хно is confounded by the fact that this (obsolete and regional W/NW) morpheme is found exclusively in proper names, and that it makes them neuter gender. Now in literary Russian, neuter proper nouns don’t have any declension. The must stay the same -хно no matter the case. The final “o” does change in vernacular usage, which sort of implies that it’s an “ending”; but it doesn’t change in formal language making it seem like an integral part of the suffix. Thanks, but how can you explain Polish wszystko?